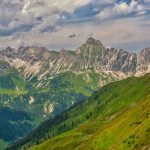 A certified guide will take you on this challenging, rewarding and truly spectacular climb to the top of the majestic Zimba mountain peak (2643m) from the Heinrich-Hueter hut in Montafon, an epic and unique climb which offers magnificent views over the beautiful valleys below once at the top. 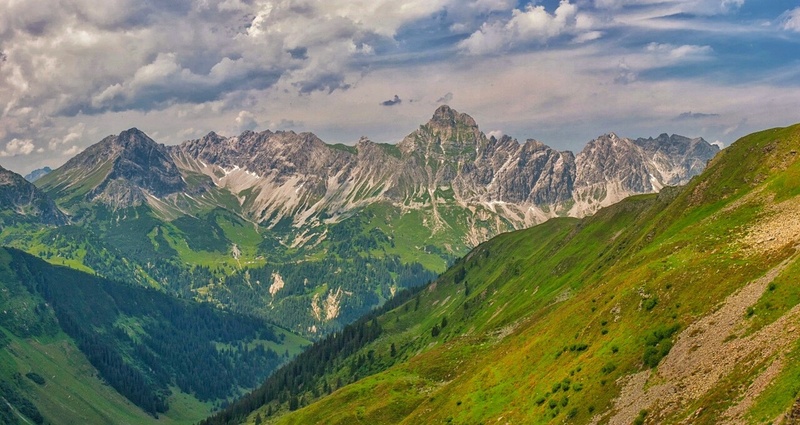 Hike up the splendid and epic Zimba Mountain (2643m) in Montafon! I promise if you join me on this daring, challenging, fun and ultimately rewarding climb to the top of Zimba (2643m) from the Heinrich-Hueter Hut in Montafon, you will not regret it one bit, as we tackle the mighty mountain nicknamed “the Montafon’s Matterhorn” in one day and reward ourselves with some absolutely brilliant and special views from the summit over the lush green valleys below. Montafon is a valley located in the Austrian state of Vorarlberg, and is renowned as a destination to indulge in all manner of outdoor activities, in both Summer and Winter. There is a rich alpine culture heritage in the region, and farming and agriculture still play a big part in life. We will meet in the morning to give out any relevant safety and general information, before we head out to the climb. There is no hiking trail up to the summit, so having a decent level of fitness is paramount to maximizing your enjoyment of the activity. We will be climbing over rocky ridges and up some steep faces, but once we hit the Western ridge we then cross over to the summit, where the pay-off of all the effort becomes evident, as the glorious Montafon countryside stretches out beneath us, the lush green valleys and tranquil and idyllic alpine lakes providing a picture-perfect setting. We then head back down and finish in the afternoon, having physically pushed ourselves and admired the marvelous qualities of the scenery around us. Physically test yourself and admire the best views that Austria has to offer – book now so you don’t miss out! Please wear mountain boots and mountain clothing.